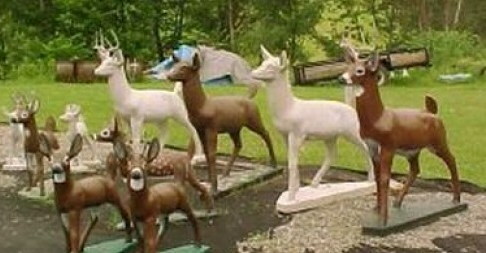 If you live in Wisconsin, you DO NOT need to remove the deer statues from your front lawn. They can stay where they are, no matter how tacky your neighbors might think they are. 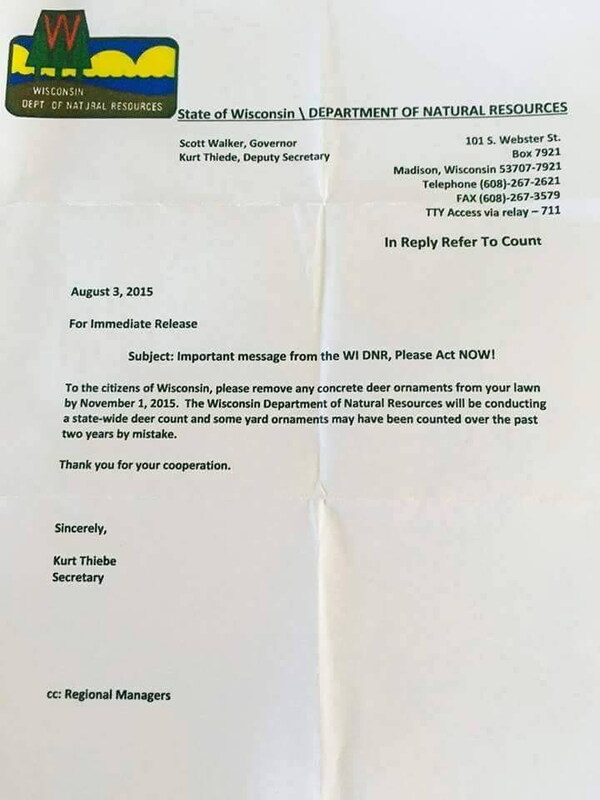 Recently, some Wisconsin residents reported receiving a letter, apparently from the state's Department of Natural Resources, informing them to "please remove any concrete deer ornaments from your lawn by November 1, 2015." The letter went on to explain that the Department would be conducting a state-wide deer count "and some yard ornaments may have been counted over the past two years by mistake." Several of you have contacted us regarding a document that appears to be a letter from DNR asking people to remove concrete deer ornaments from their yards. This letter is a fake. It was not crafted, nor distributed by DNR. DNR is not asking the public to remove concrete deer ornaments or any other lawn ornaments from their yard. So there you have it. The concrete deer can stay.